This product is designed for Bug A Salt Gun 2.0. 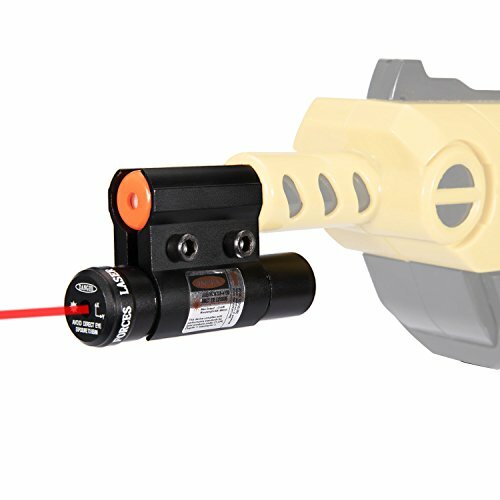 Accurate: The bright red laser beam is easily seen in both day and night for complete precision and accuracy on all shots. Compatible with bug salt shotgun versions 2.0. Lasting Power: We takes 3 high quality button batteries which can offer you better product experience, so you could enjoy a long lasting laser sight time. Easy to Install and Use: Includes 3 batteries and all tools for use right out of the box. You can install it in about 1min. High Quality:Deyard use high quality aluminum alloy gun mounting clip with hard coated in stealth black. The laser reaching range is 100Ft. Improve Kill Rate: With the Deyard laser sight accessory, you will never have to worry about missing those pesky flies and bugs. If you have any questions about this product by Deyard, contact us by completing and submitting the form below. If you are looking for a specif part number, please include it with your message.